Never Give Up: The Film – What is it? So for sometime now there has been some very dedicated people putting the finishing touches to a film production that started back in January. It puts a huge smile on my face to say that tomorrow we will release a very special, short artistic film called Never Give Up. Yesterday on Facebook I posted several stills from the film and before it goes live I wanted to just explain a little bit about it. 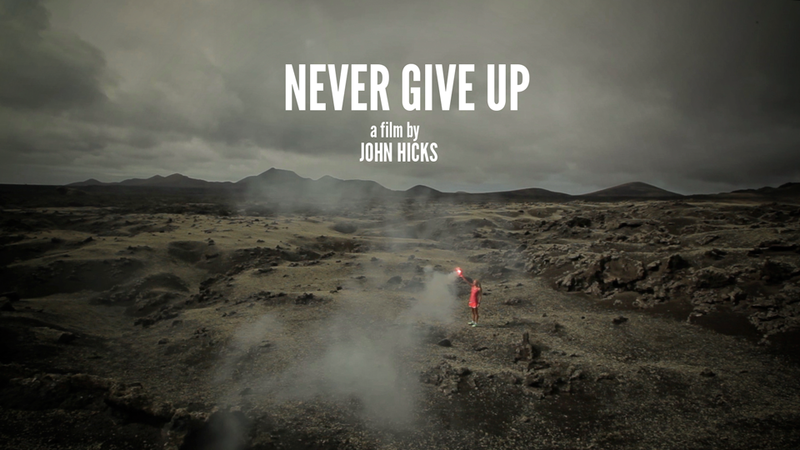 Never Give Up is a film, directed and shot by award winning international photography and film director John Hicks. John beautifully portrays a life message that I carry so close by me throughout my own life, never giving up. The opportunity to work on a production with John Hicks was presented to me back at the start of 2013. John had shown an interest in my career but more so my story and my approach to life, he wanted to portray this in the way he knows best, film making. John’s previous work has included shoots with John Travolta, Lance Armstrong, Dame Ellen MacCarthur and so many more. So it is very humbling to think that a small country girl from Denmark holds appeal and interest to a big time film and photography director like John. The film itself is very special and I am so proud to have had the opportunity to be a part of it. The film aims to promote my outlook on life, not just in sport and triathlon, but life in general. I have been amazed just how well John has been able to portray my story. Despite being short, just over 3 minutes in length, it is a special combination of powerful/well thought of scenes, epic landscapes and perfectly composed music that allows the message to come across so well. I was amazed by how John went about his work it was a fantastic experience and there is no doubt why his career has been, and continues to be, so successful. Life is what we make of it; we are wrong if we think success in life comes easily. Whether it is in sport, business or life in general success does not come without sacrifices, hard work and determination. In 2007 after suffering a discus prolapse at the age of 26, I was told to give up. Missing out on selection to the Beijing Olympics and having to complete a large part of my master degree bed bound, my decision was not to give up. I stood by my own self-belief; gained comfort from those that believed in me and pursued my own path to success. The path and direction in life that I have chosen is a path and direction that I love. There have been many setbacks, critics and challenges in my life, yet belief in myself and from those around me has brought me to where I am today. Life will always present setbacks, there will always be critics and we all face challenges every day. Yet it is through self-belief, an understanding of our strengths and a determination to succeed that success always becomes possible. This is MY story and this is my outlook on life. The florescent flare used within Never Give Up is a representation of success in life. The film beautifully portrays my current, chosen path in life, which is Triathlon. Life for us all provides many paths and my aim, on any chosen path in life is success. I had the same aim whilst committed to education and I have the same aim today. Success. I want to take this opportunity to thank everyone who has had a positive effect on my career up until now. Nike for their amazing and continued contribution to my career along with LOOK, HED Cycling, Sands Beach Resort, Zipvit Nutrition, Sailfish, SRAM, CycleOps, Giro, Ceramic Speed, GoPro, Kaiser Sport, Osteopatisk Klinik and CycleFit.de. The film will be released on Wednesday and accessible via my website, blog and Facebook pages. John aims to submit the film into the London and UK film festivals which I fully hope will bring his work an even greater amount of attention.